Salt Lake City, Ut.-based Uinta Brewing today announced it has sold a percentage of its business to The Riverside Company, a private equity firm with offices in New York City and Cleveland, Ohio. 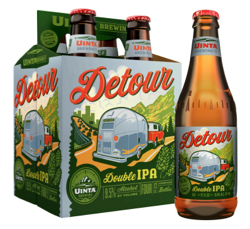 Terms of the deal were not disclosed, but Uinta founder Will Hamill told Brewbound that he would retain a “significant” piece of the Uinta business and continue to lead the company as CEO. On its website Riverside describes itself as a “global private equity firm focused on investing in and acquiring growing businesses valued at up to $250 million.” The company currently has over $4.6 billion in assets under management and has previously completed 345 acquisitions. Hamill declined to comment on the specifics of the transaction, but said an immediate capital infusion will enable the company to hire 19 new employees and continue expanding the brewing facility in Salt Lake City. In an investment deck that was sent to a variety of potential buyers earlier this summer, Uinta was billed as a rapidly growing top 50 U.S. craft brewery with a projected 2014 EBITDA of nearly $6 million. The company recently completed an $18 million expansion that included the installation of a 130-barrel, 4-vessel brewhouse, tripling production capacity. Sitting on more than five acres of land, Hamill said the current brewery space could eventually produce as much as 325,000 barrels of beer. 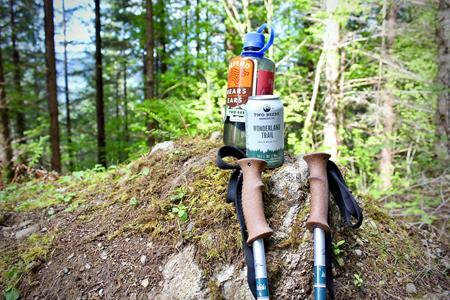 Uinta made just 59,000 barrels in 2013 and is currently growing at more than 40 percent. But in order to continue expanding its production capabilities as well as its distribution footprint, the company needed an injection of capital, Hamill said. Alongside the need for capital, after 21 years of independent ownership, Hamill said he felt the need to bring on investors with additional management experience. As a result of the capital injection, significant investments will be made into new creating new brands, expanding the company’s barrel-aging program and strengthening marketing initiatives, Hamill said. “This transaction will make Uinta a better company, with people who believe in our brand and our DNA,” he said. 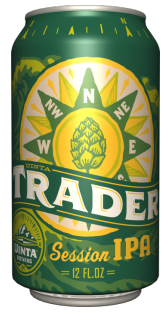 The investment will not immediately increase the company’s current 27-state distribution footprint, but it will allow Uinta to penetrate deeper in the markets where it already sells beer. August 28, 2014, Salt Lake City, UT — After experiencing accelerated growth over the past few years and recently completing a major brewery expansion, Uinta Brewing Company looks long-term with an investment from The Riverside Company. The injection of financial and strategic resources by Riverside will grant Uinta the ability to keep doing what they are doing—producing notable craft beer in a sustainable way using quality ingredients and state-of-the-art equipment. Founded 21 years ago by Will Hamill, Uinta has grown to be one of the top 50 craft brewers in the United States by volume. The foundation for Uinta’s impressive growth has been a strong, embedded culture with deep local roots and capable wings. With this foundation firmly in place, the Riverside investment will provide support and resources to sustain Uinta’s incredible momentum over the coming years. Hamill will remain as Uinta’s CEO and significant owner and will continue to lead the brewery as it accelerates its growth and presence in the craft beer market. Comprised of passionate craft beer lovers and outdoor enthusiasts, Uinta’s employees and management team remain as committed as ever, and plans to continue to grow the Uinta family are already underway.